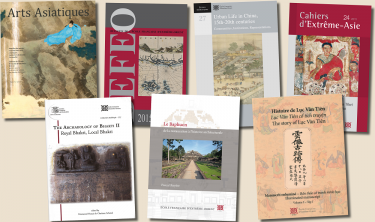 The coordination of various research programmes by the Pondicherry Centre of the EFEO has resulted in a collection of documentary resources comprising of 11400 printed volumes, 46 periodicals and 1633 palm-leaf manuscripts. The collection covers different branches of Indology: art, archaeology, epigraphy, grammar, linguistics, literature (Sanskrit and Tamil), traditional medicine, philosophy, religion, etc. and also includes the private collections of Marguerite Adiceam and Françoise L'Hernault. 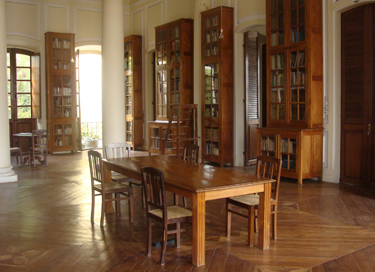 The Centre is also able to benefit from the well-stocked indological library of the French Institute of Pondicherry, which it helped develop and housed in its own premises until 2002. 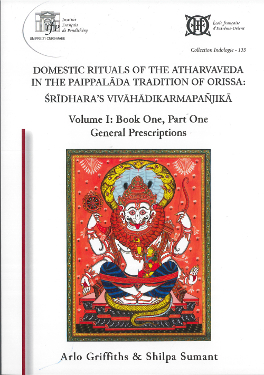 The Centre's Library has always catered to the specific needs of the philological projects undertaken by indological teams and this has resulted in several unique collections such as the collection of Vaishnava. The Centre has launched a Archive named SITA (South Indian Temple Archives). The Centre also holds a precious collection of plans and elevations of South Indian temples, Tamil and colonial houses as well as maps of South-Indian towns and cities. The Centre houses a collection of about 1633 palm-leaf manuscripts, most of which transmit vaishnava texts in Sanskrit, Tamil, and Manipravalam, which is a mixture of both these languages. In recognition of the importance of the manuscript holdings of the EFEO and of the French Institute of Pondicherry, the "Shaiva Manuscripts of Pondicherry" were in 2005 deemed a UNESCO "Memory of the World" Collection. A project aiming to catalogue this collection is presently underway.